The Kaiser Chiefs’ frontman takes his two-day stopover in Abu Dhabi by the horns in new short film. 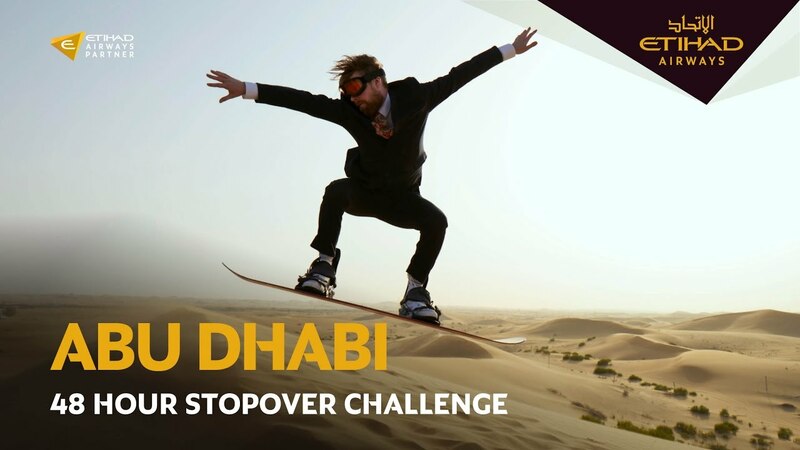 The launch of ‘The Abu Dhabi 48-Hour Stopover Challenge’, Etihad’s latest online film in which Wilson, races against the clock to experience as much of Abu Dhabi as he can within 48 hours. From dune buggy racing to falconeering to riding the fastest rollercoaster in the world to ordering takeaway black truffle pizza, the film, created by Cheil London in partnership with production company Firecracker, is a whirlwind showcase of Abu Dhabi as a multi-faceted, must-visit destination rather than simply a stopover. The 3+ minute film was filmed over the course of 48 hours by the team at Firecracker, making the challenge a reality. With so many activities to cram into a tight time frame, the shoot required meticulous planning on behalf of the production team.